If you wonder for your next manicure, don’t forget that Valentine’s Day is coming soon and you can make your manicure in a love spirit. And the best sign of love is a heart, so let’s make heart nail designs for Valentine’s Day. Below I chose for you 21 gorgeous heart nail designs, which will inspire you for your next manicure. 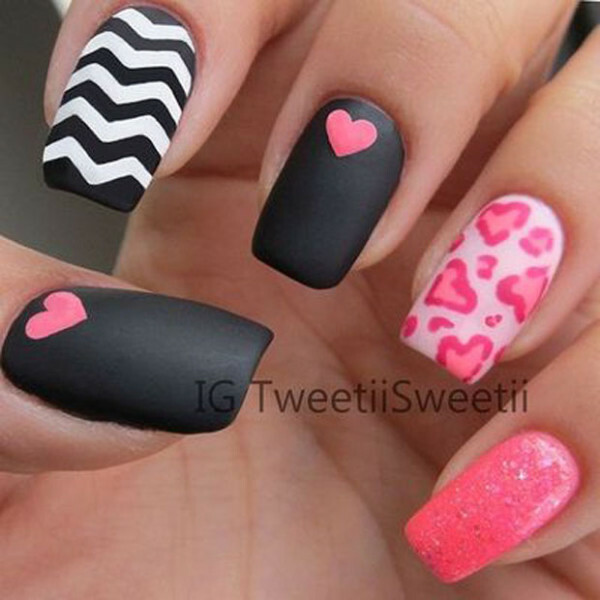 You will see amazing different nail designs with hearts. You can use your favorite nail polish color and combine it with any other color to make a heart nail design. 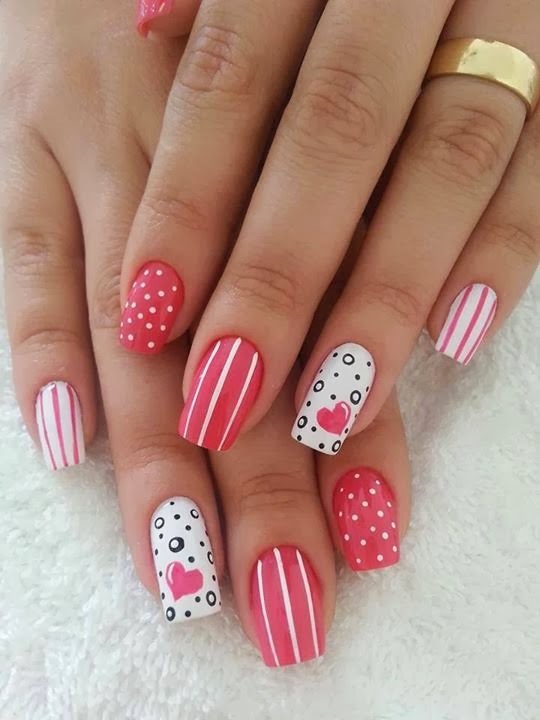 But, of course, for Valentine’s Day, attractive and most popular are red and pink nails colors, so you can combine them with other, your favorite color. There are some elegant nails designs too, with zircons or some sparkle designs. So, fashion dreamers, continue below to see the gallery. 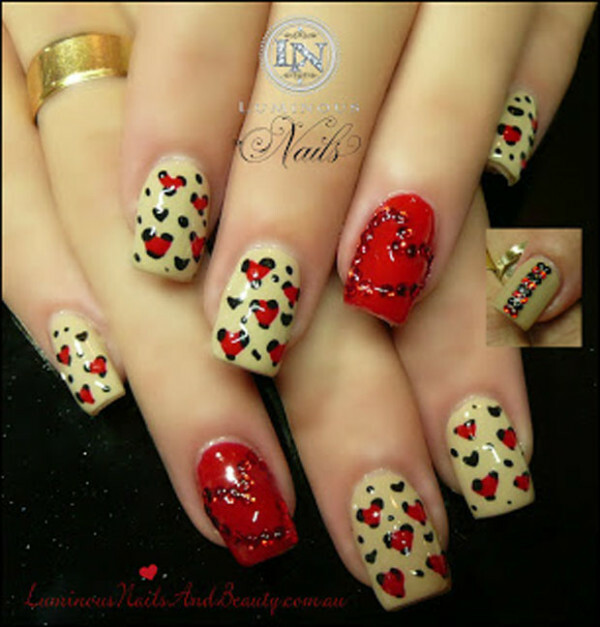 I am sure you will find some amazing heart nail designs, which will inspire for your next manicure. And I will remind you again, it is Valentine’s soon, so prepare to look gorgeous for that holiday and keep your love alive!! Continue below and enjoy! !